Relay DIN lets you add 3 relays for cabled control to your Base Unit DIY. 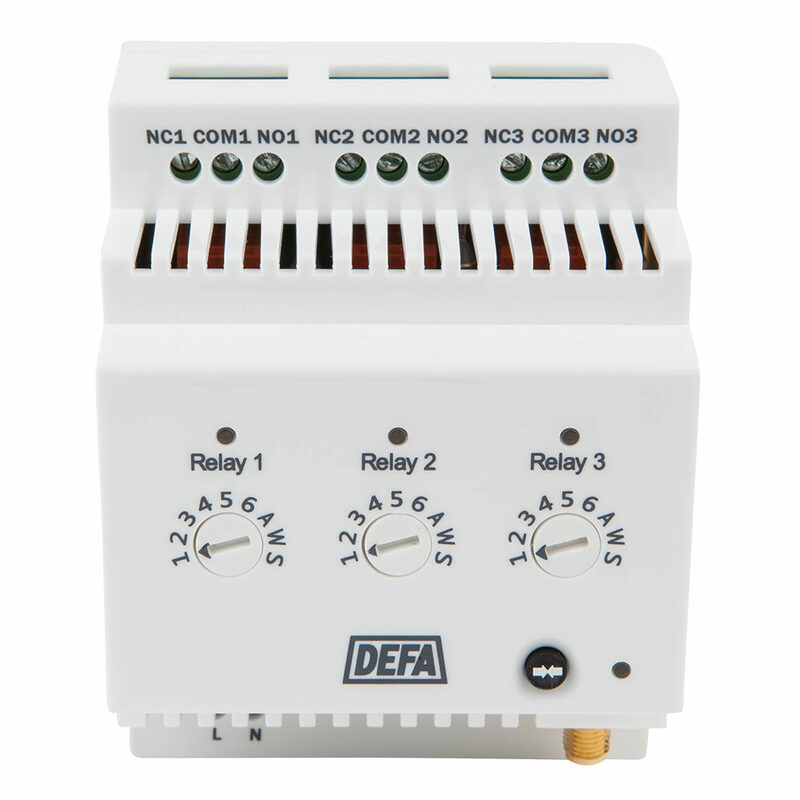 Relay DIN is a 230V wireless relay expansion designed for installation in fuse boxes. It utilizes three potential-free 16A relays, each of which can be connected to a designated zone (1-6) or function (A, W, S) on a Base Unit DIY. Relay DIN can be used in the same way as a Socket. If the zone is set to switch mode, the relay will turn the power on and off. In thermostat mode, the relay will operate based on temperature readings from the wireless temperature sensor designated to the corresponding zone. Potential applications for use are underfloor heating cables, hot water tanks, lighting, etc. Relay DIN must be installed by a certified installer. Relay DIN must be mounted in a certified fuse box by a certified installer.